Raised in Carlisle Ohio, Brandon grew up with a love of chemistry that evolved into a passion for producing amazing whisky. Brandon received a BS in Chemical Engineering at Ohio State University, where his studies included Brewing and Fermentation Science. 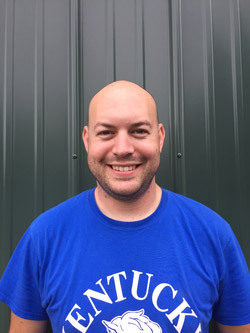 After graduating college, he went on to hold key process engineering positions in the paper and food industries before landing a highly coveted Distillery Supervisor position at Buffalo Trace. Brandon developed and led the daily production over the distillery, powerhouse and dry house operations while also handling other responsibilities including several special expansion projects. During his tenure at Buffalo Trace, which is oldest continuously operating distillery in the country, Buffalo Trace was named “Whiskey Distiller of the Year” in 2014 and “Brand Innovator of the Year” in 2015, by Whisky Magazines “Icons of Whisky America”. Brandon recently relocated to Long Island, where you will find him plying his craft at the Distillery or exploring the vibrant “foodie” scene on eastern Long Island and throughout NYC.